Welcome to Napa Valley...in the Elkhorn River Valley! Tonight was a special night because we were celebrating JD's birthday. 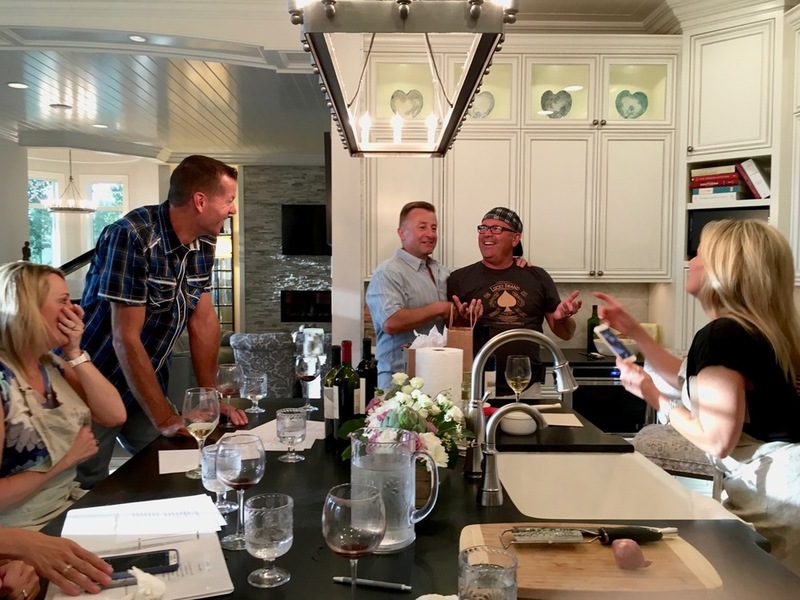 Good friends, good wine, good food -- no complaints! I always to love to have fresh flowers at every class. 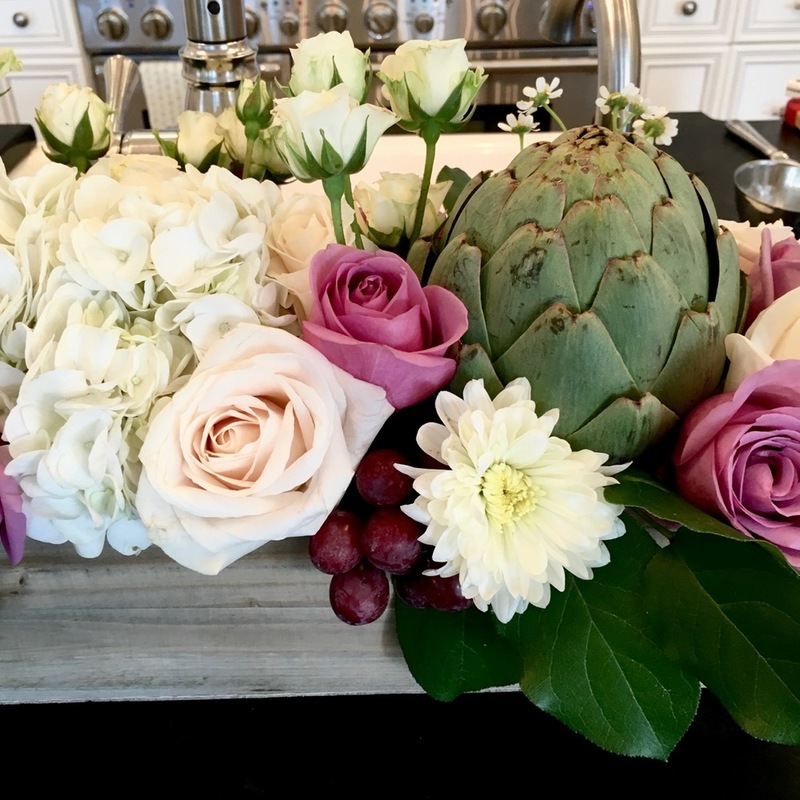 In this arrangement, I added artichokes and grapes for a little extra something. It's all about the bread! I created this simple bruschetta bar that is so fun for entertaining. 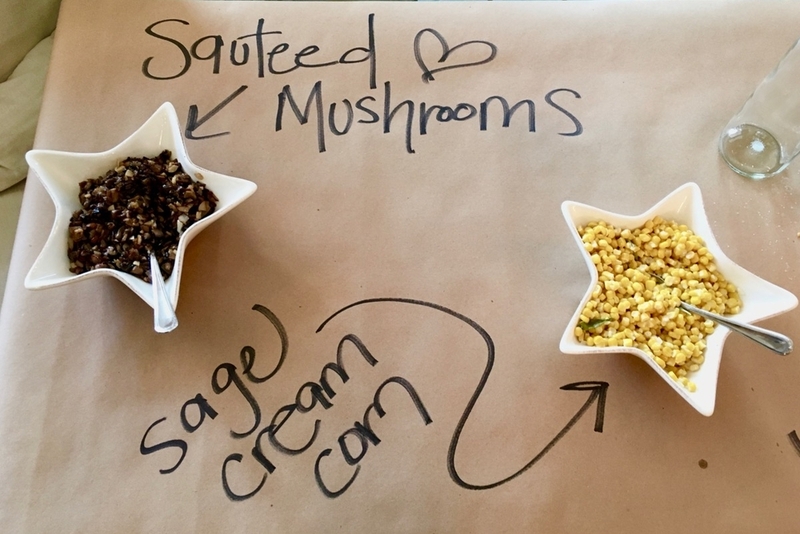 I passed out my four recipes for delicious bruschetta toppings: Sautéed Mushrooms, Sage Cream Corn, Traditional Tomato, and Herbed Goat Cheese. The men really stepped up tonight in the kitchen. Look at Shane shred that cheese! Tuscan Pork Ragu, Chopped Kale Salad with Warm Pancetta Vinaigrette, and Chocolate Croissant Bread Pudding. It was fabulous! A Summer BBQ - Round Two!